A proper literature search should be systematic and thorough. Use a search specialist if you can. There are also services that can do it for you, like Doctor Evidence. 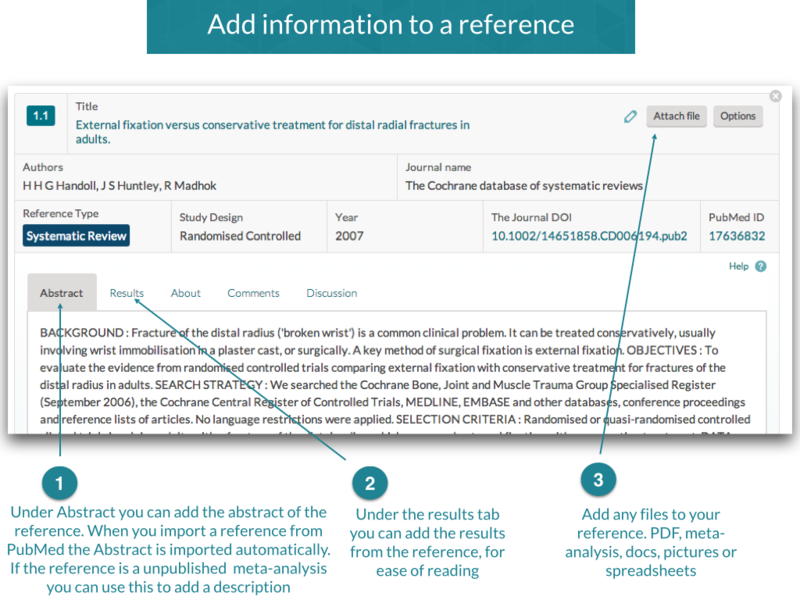 If you find an usable systematic review, you can add it in the References Tab, under the section where it fits best. 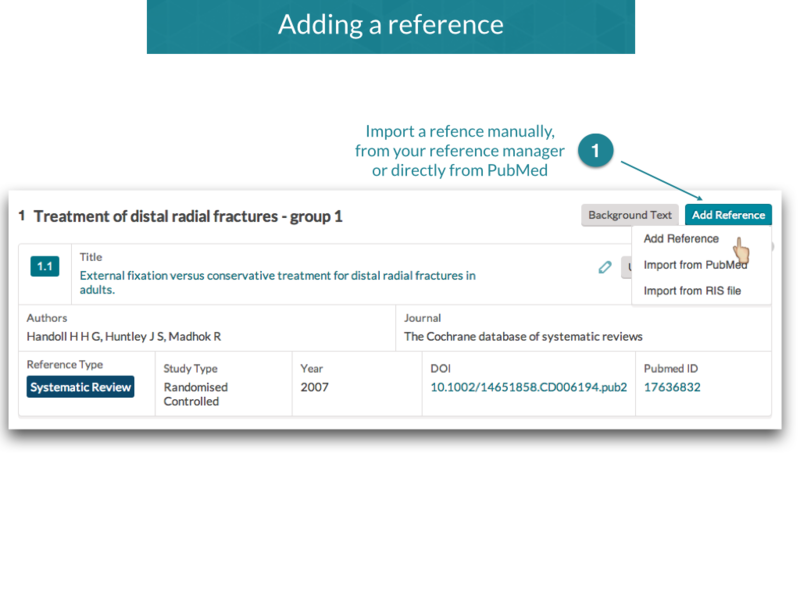 Click the "Add Reference" button and you can upload it using the Pubmed ID, a RIS file or add it manually. 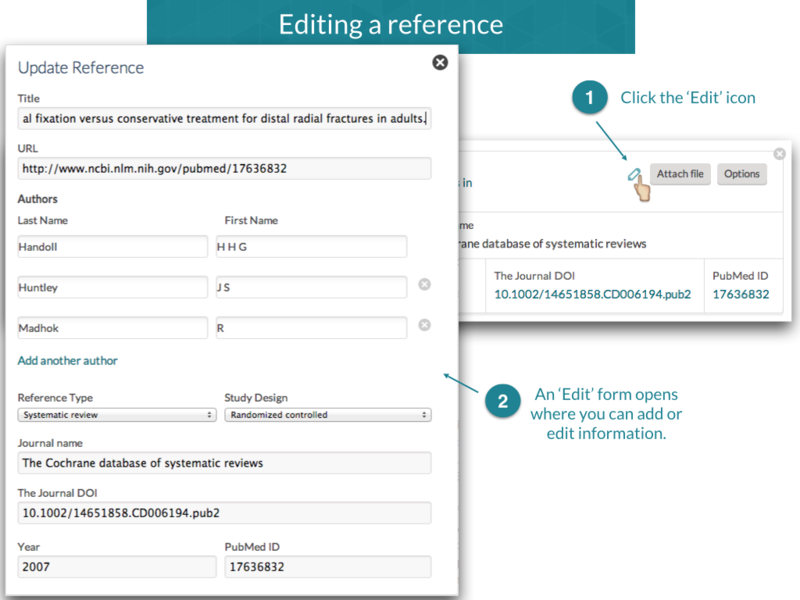 If you however need to make your own meta-analysis, we suggest you use a screening and data-extraction tool, like Covidence. For meta-analysis you can use a tool like Eppi-reviewer or Revman. When your meta-analysis is done, you can import it as a reference. Upload the file(s) containing the results, and/ or a PDF of the systematic review together with the reference. This way you'll have it always accessible. We do not recommend that you add all the included studies of a meta-analysis as their own references as the more references you add, the bigger the guideline gets, and the likelihood of guideline becoming slower increases.